You can change the color of the Default Page header from this section as well as the default text color of the page title. If you wish to set different images on different pages. Then, Select your Page from the drop down located at the top. Now from the right, click on Select Image to upload your default image from Page header Default Image. 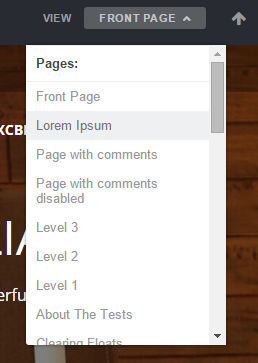 If you wish to set the same image as your page header on all of your pages just skip Step 3.